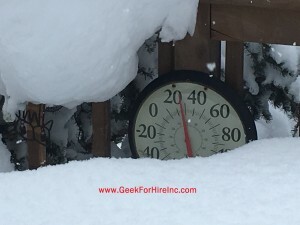 With all the snow in the forecast, I thought it was time to revisit my list of favorite weather websites and smartphone applications. NOAA – When you enter your city and state into the “Local Forecast” box, you can see just what is in store for your area. In addition, if there is a big storm coming, you’ll see a “Hazardous Weather Conditions” box across the top. I like the NOAA forecast because it is generally right on target. NOAA also has radar and satellite maps. By the way, NOAA stands for the National Oceanic and Atmospheric Administration and is located right here in Boulder, Colorado! Weather Underground – I like Weather Underground because I have several different weather stations to choose from in my town. In addition to the forecast, WU tells me what’s happening right now. When you click on the information from a particular station, you can also see if they have a webcam set up. Then you can see the snow and wind for yourself! Those webcams are especially helpful if you’d like to see the weather in a place where you are traveling to. The Weather Channel – The Weather Channel has all the same information the other websites have. Because they consider themselves a news site, they’ve also got, what I can only call Weather Entertainment. Big Floods! Amazing Ancient Ruins! 20 Places Overrun by Animals! And More!! My favorite feature on the Weather Channel is their travel map found here. When you enter your starting place and destination, and the date you will be departing, the map calculates your route AND the expected weather. NEXRAD – “Nexrad (Next-Generation Radar) is a network of 158 high-resolution Doppler weather radars operated by the National Weather Service” This website shows the radar for the whole US, or just your state. WeatherTalk – is a Facebook page I’ve recently found. Colorado Weather Analyst Greg Berman gained recognition when he accurately forecasted the extent of the rains and subsequent Front Range floods in September 2013. If you’re on Facebook, I’d highly recommend this page to “Like” and bookmark. His forecasts include most of the Ft. Collins / Denver / Colorado Springs / Front Range area. Storm Shield Weather Radio will send severe weather alerts to your smartphone. Aurora Alerts – And if you’re looking to see if there may be an Aurora in your neighborhood, check out the NOAA sun activity page. Do you have a favorite website for weather forecasts? Share in the comments below! Chris Eddy of Geek For Hire, Inc. has been providing computer service to families and small businesses with Mac’s and PC’s for the past fourteen years. His company is highly rated by both the BBB (Better Business Bureau) and by Angie’s List. You can find more at http://www.GeekForHireInc.com Geek For Hire, Inc. provides onsite service (Tier 3) to the Denver / Boulder / Front Range area and remote service throughout North America. 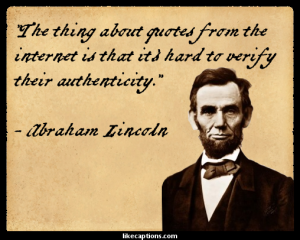 Over the last week or so, I’ve been hearing more about “Fake News” websites. I’ve been aware, for a while, of websites that seem more biased, but I hadn’t been aware of websites with actual fake news. An off-shoot of this issue is that these websites sometimes include malware. Several of our customers got a virus in the week leading up to the election from clicking on those types of “news” stories. Have you read any of these news stories? Many of them surround the impact fake news has had on Facebook and other Social Media. For example this article from the NY Times, or this one from the Washington Post, or this one from CNN . Does the site have a lot of “click bait”? That’s a web site with pop ups that you have to click through before you can read the actual content. This is different from the sites which make you watch an advertisement before you get to the actual story. Click bait will take you to another site entirely. Can you verify the news item with a reputable source? If it’s real news, there should be something on one of the national news websites like CNN, NYT, MSNBC, USA Today, or even the Financial Times. If it’s a local news stories, an NBC, CBS, ABC, or Fox local affiliate should have information. Does the URL for the website seem odd in some way? For example a url that ends with ” .co “, or ” .su “, or ” .ru “. Does the headline match the story? Is it on a list of “fake news” websites? There are several of these lists floating around. Here is the one published by USA Today. Is it satire? Several websites are satire, which is not fake news. 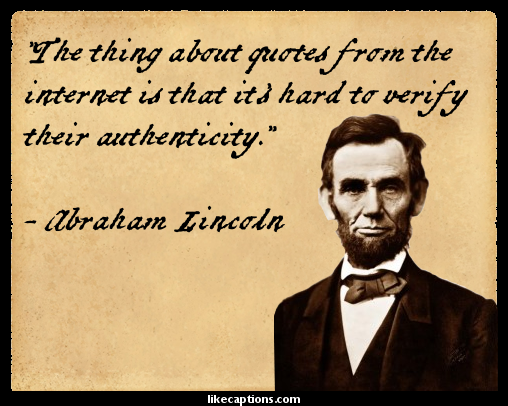 Satirical sites which come to mind include the Onion, and the Borowitz Report. Check the date. Is it a recent news event, or something from months or even years ago that is being re-purposed as new news? Chris Eddy of Geek For Hire, Inc. has been providing computer service to families and small businesses with Mac’s and PC’s for the past fourteen years. His company is highly rated by both the BBB (Better Business Bureau) and by Angie’s List. You can find more on our website. 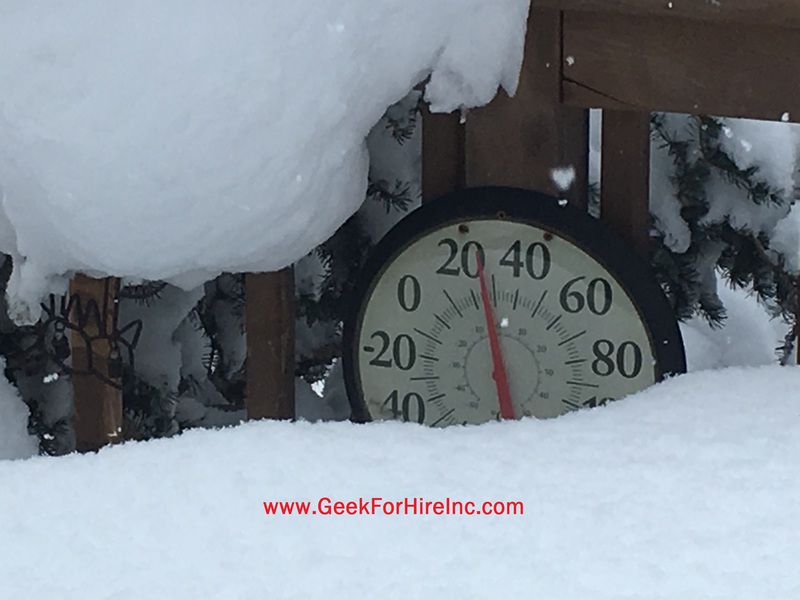 Geek For Hire, Inc. provides onsite service (Tier 3) to the Denver / Boulder / Front Range area and remote service throughout North America. More people will be shopping in the next few weeks with the holiday season coming up. While I always recommend shopping at your local small businesses, not everything is always available there. There are certain ways to shop online which help save your wallet. One thing I’ve recently become aware of is selecting some things you want, place them in your “basket”, and leave. This only works if you’ve logged in and the retailer knows your email address. Over the next few days you may receive emails with coupons for a percent off, or special offers related to the items you’ve already selected. My most recent experience netting me a coupon for 20% off! Check to see the best price for items you’re considering. One alert site for Amazon is Camelcamel. Other sites for more retailers include SlickDeals, Gottadeal, and Dealnews. For electronics try Pricewatch. Add a shopping app on your smartphone to help you find the best prices when you’re away from your computer. Tom’s Guide has recommended several apps. Find coupons that give you dollars or a percentage off of your purchase. Some good sites for online coupons include CouponCabin, Coupons, and Retailmenot. And, there is also Groupon. One thing I don’t like about Groupon is that you purchase the product or service ahead of time and may forget about the expiration date. Several of my friends have made a Groupon purchase and never got to use it! Just use Google if you know exactly what you want. Enter the brand and model number and Google will tell you which companies are selling that item. Do you have online shopping tips that you use? Let us know! I’m Addicted To My Phone! Does anyone else wonder if they spend too much time on their phone? 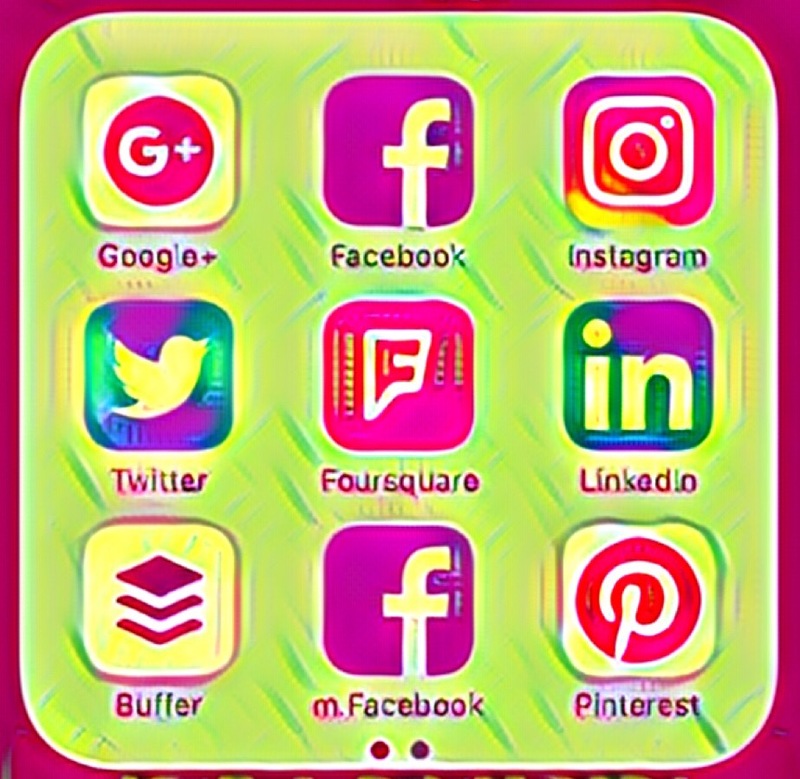 Too much time using Facebook, Twitter, Instagram, and other social media sites? I know for me there have been times when I have picked up my phone to (gasp!) make a phone call. After I enter my passcode, it opens to the last screen I had active. If it is Facebook, I’ll check my notifications, completely forgetting about that call. Does that ever happen to you? Even I remember that from my Freshman Year Psych class! What can you do to help yourself be more present and not focus so much on your phone and social media? Set up a schedule for using your phone to check email and social media. Set a timer to limit your time to ten or twenty minutes. Keep your phone turned off otherwise, except when you are expecting a call. 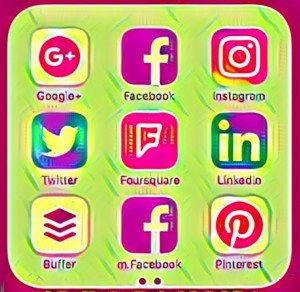 Remove some (or all) Social Media apps from your phone and only access them from your computer. Ask everyone to put their phones in the center of the table during meals. Charge your phone at night in a different room, not right next to your bed. I hope these tips are helpful! Last week, I wrote about the DDoS attack which occurred on October 21st. That attack shut down many websites and apps, especially for users on the East Coast. I recommended that you use a very secure and strong password. Please don’t use one of these most common passwords! Finally, you must remember that very strong password! Some ideas include a favorite book, your best friend’s name from second grade, or your grandparent’s street address. Just remember to add some additional complexity to make it even more secure. For example, “Newport” can become “517Newport”, “NewpØrt”, or “Newport100”. If you must write down your passwords, keep it in a secure place. I use a password protected spreadsheet. Please make it a point to use a secure and strong password on all of your internet connected devices. Change it today! The Denver / Boulder / Front Range area. We make house calls even if you live in the mountains. We also provide remote assistance anywhere in the U.S.
PC & Mac repair, wireless and wired networking, virus and spyware removal, printer setup, data recovery, custom computers built. Also: Entertainment systems, smart home installs, point-of-sale systems, support for all your high tech gadgets. Mac & PC repair, wireless and wired networking, virus and spyware removal, printer setup, data recovery, custom computers built. Also: Entertainment systems, smart home installs, business support, support for all your high-tech gadgets.